Why are the Best Trading Opportunities Scary? Twice this week, I’ve been noticeably “scared” to enter a trade. 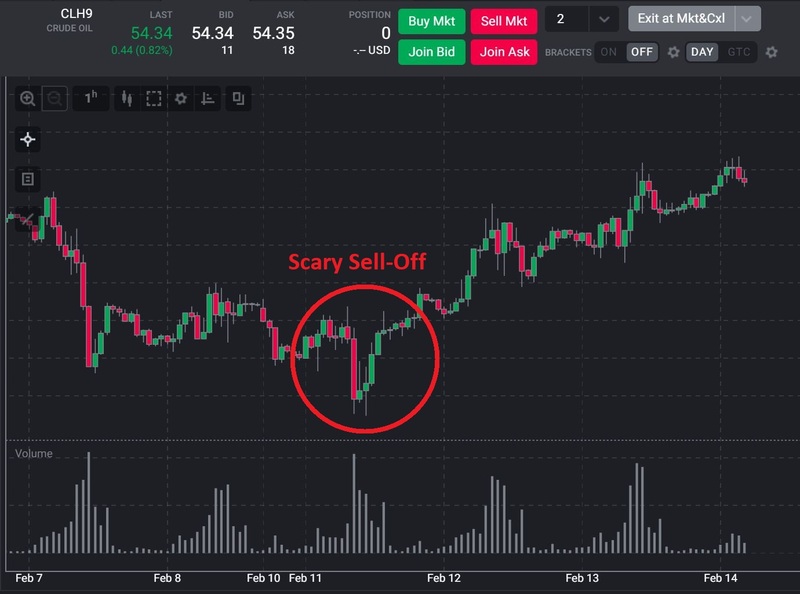 The first time was Monday, when I noticed an opportunity while watching the Market Forecast with TopstepTrader’s Senior Performance Coach John Hoagland. As he does every day at 8:15 AM CT live on TopstepTrader's Facebook page, John brought up the Crude Oil chart. It showed Crude was selling off hard to $51.26, slightly below a double swing low at $51.33 from January 17 and January 28. It was a clear opportunity. As the chart above shows, the price even came back to test that level two hours later. You’d think that this would be a great opportunity, but instead it just confirmed my thoughts that the market was “heavy.” The market looked heavy. It looked like the support was going to give. It didn’t, and with the benefit of hindsight, we see that prices rallied that day $1.50 and have been rallying ever since. Opportunity missed again.